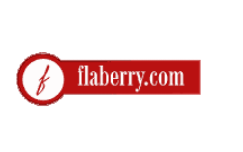 Flaberry.com is one stop store for sending flowers, chocolates, cakes and other gifts to your loved ones all across India. Quality of service and product quality is the essence of their existence. Now offering 100% Cashback When you Pay Via Freecharge Wallet (Max 200 Rs). • Make payment using freecharge wallet to get 100% cashback. - Use Freecharge on Flaberry and get 100% cashback from Freecharge. (Once per user). - Max cashback upto Rs.200.Cashbackwill be credited in the form of e-vouchers to the Freecharge wallet, valid for 6 months only and cannot not be refunded to bank. - Cashback valid only once per user/mobile number/email id during the offer period. - Offer valid from13th June 2016 to 19th June 2016. - The cashback amount will be calculated on the transaction value net of any refunds. - Cancelled orders will not be eligible for any cashback. In case of order cancellation / refund, the cashback amount will be deducted from the total refund due. - This Offer is open to all Freecharge Wallet Account holders whose accounts are valid and verified Cashback will be credited to Freecharge Wallet within 24 hours. - Offer applicable only on latest version of Flaberry app and website.